Easily create geode nail art with the Stone Works transfer foil set from Dollar Nail Art. 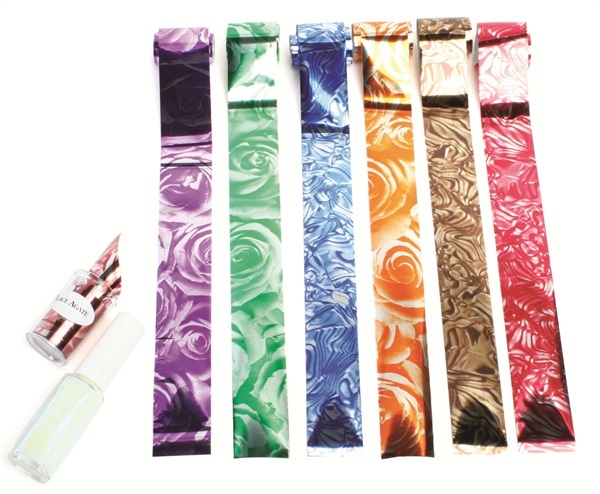 The foils are individually packaged in a clear case for easy use and storage. The rolls are one-inch wide and five feet long. The set also includes foil adhesive. For more information, visit Dollar Nail Art.